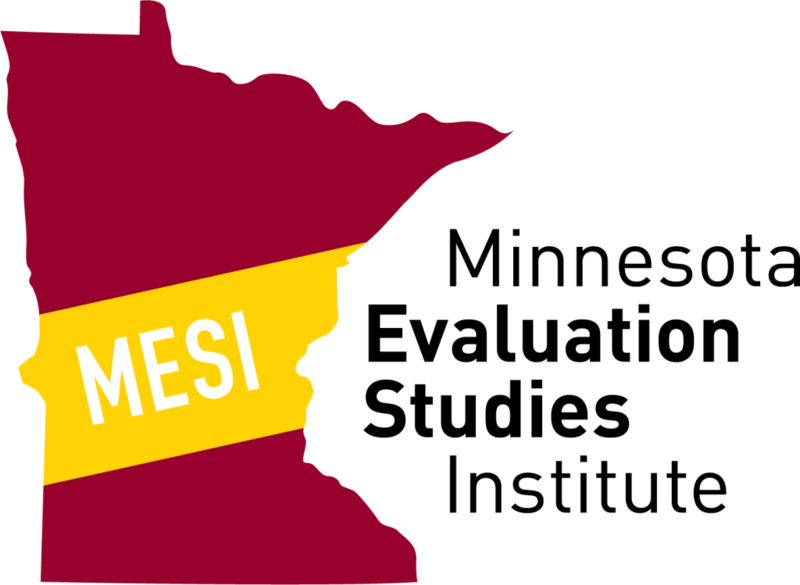 The Minnesota Evaluation Studies Institute (MESI) is an interdisciplinary training institute for evaluation studies at the University of Minnesota. We provide high quality, practical training in program evaluation for people new to the field and for those who are practicing professionals. We are committed to supporting evaluation that values stakeholder participation and collaboration. MESI is part of the Department of Organizational Leadership, Policy, and Development (OLPD) in the College of Education and Human Development (CEHD). We are unique in bringing together faculty expertise from the college, the School of Public Health, the Humphrey School of Public Affairs, Center for Urban and Regional Affairs (CURA), the School of Social Work, and Minnesota Extension.